$PART NUMBER: CNVG-D1292 Fits 03 - 08 INFINITI / NISSAN 350Z 3.5L (3498cc) DOHC V6 BRAND NEW ENGINE VALVE COVER W/ GASKETS for LEFT SIDE Application 03 - 08 INFINITI FX35 3.5L 3498CC V6 DOHC 03 - 07 INFINITI G35 3.5L 3498CC V6 DOHC 06 - 08 INFINITI M35 3.5L 3498CC V6 DOHC 03 - 07 NISSAN 350Z 3.5L 3498CC V6 DOHC Package includes ---1 ENGINE VALVE COVERS (DRIVER SIDE) ---1 VALVE COVER GASKETS (DRIVER SIDE) Special features ---Fits Left Side / Driver side / LH Detail Pictures. FILL SIDE VALVE COVER. 2003 NISSAN 350Z. Infiniti M35 2006-2008. Infiniti FX35 2003-2008. 2008 Infiniti FX35 Base Sport Utility 4-Door 3.5L 3498CC V6 GAS DOHC Naturally Aspirated. 2008 Infiniti M35 Base Sedan 4-Door 3.5L 3498CC V6 GAS DOHC Naturally Aspirated. Description: 100% Brand New,never been used High quality Direct fit OE style replacement part Professional Installation is Highly Recommended No Instruction Included Fitment: 03 - 08 For For Infiniti FX35 3.5L 3498CC V6 DOHC 03 - 07 For For Infiniti G35 3.5L 3498CC V6 DOHC 06 - 08 For For Infiniti M35 3.5L 3498CC V6 DOHC 03 - 07 For For Nissan 350Z 3. Part Number:14041-EV10B. 2006-2009 Nissan 350Z. No labor warranty is provided. LEFT/ DRIVER ENGINE VALVE COVER REMOVED OF == 2004 INFINITI G35 COUPE VQ35DE ==. 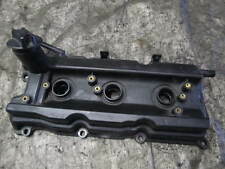 NOTE: VALVE COVER FITS 03-06 NISSAN 350Z ALSO. MODEL: G35 COUPE. MAKE: INFINITI. PART NUMBER: N/A. CONDITION: USED. MILEAGE: N/A. "Nippon Reinz Valve Cover Gasket --. NIPPON REINZ VALVE COVER GASKET. Condition : New. General Warranty Limitations (Applies to all Product Warranties). The warranty is subject to the General Warranty Limitations below. This is the left hand, driver side valve cover off an 06 350z rev up. Model: 350z. We start by removing every part from the vehicle when it arrives at our facility. See the FAQ page for full warranty details. · Interchange Part Number:13264AM600, 13264-AM600. 2003-2007 Infiniti G35 3.5L; 2003-2006 Nissan 350Z 3.5L. 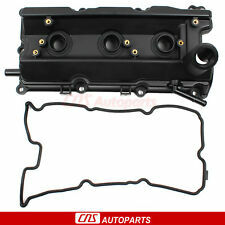 · Item included: Valve Cover kit (as picture show). · One Year Warranty after receiving. "Nippon Reinz Valve Cover Gasket --. NIPPON REINZ VALVE COVER GASKET. Condition : New. Therefore all implied warranties that may apply to your part are limited to the duration of this written warranty. New Engine Valve Cover Gasket Set For Mini Cooper S JCW r55 r56 r57 r58 r59. Valve Cover w/ Gasket for 2006-2017 Audi Q7 VW CC Passat Touareg 3.6L 03H103429H. Position: Right & Left. Item Condition: New. "DNJ Valve Cover Gasket --. Properly seals valve cover for leak-free functionality. Quantity sold : 2-piece set. Condition : New. Made with highly durable materials for lasting strength and service. Therefore all implied warranties that may apply to your part are limited to the duration of this written warranty. $PART NUMBER: CNVG-D1291 Fits 03 - 08 INFINITI / NISSAN 350Z 3.5L (3498cc) DOHC V6 BRAND NEW ENGINE VALVE COVER W/ GASKETS for RIGHT SIDE Application 03 - 08 INFINITI FX35 3.5L 3498CC V6 DOHC 03 - 07 INFINITI G35 3.5L 3498CC V6 DOHC 06 - 08 INFINITI M35 3.5L 3498CC V6 DOHC 03 - 07 NISSAN 350Z 3.5L 3498CC V6 DOHC Package includes ---1 ENGINE VALVE COVERS (PASSENGER SIDE) ---1 VALVE COVER GASKETS (PASSENGER SIDE) Special features ---Fits Right Side / Passenger side / RH Detail Pictures. Nissan 350Z 2003-2006. Infiniti G35 2003-2006. Item included: Valve Cover kit (as picture show) x 2. VQ35DE 3.5L V6 Engine / Motor. Warranty for any manufacture defect. Fuel Pump Assembly. Infiniti FX35 2003-2008. Description New Valve Cover & Gasket Left FITS Nissan 350Z Infiniti FX35 M35 G35 13264-AM610 100% Brand New,never been used High quality Direct fit OE style replacement part OEM:13264-AM610 Professional Installation is Highly Recommended No Instruction Included Please check pictures for more details. Compatible VQ35DE 3.5L V6 Engine / Motor Infiniti G35 2003-2006 Infiniti M35 2006-2008 Infiniti FX35 2003-2008 Nissan 350Z 2003-2006 Key Features 1. Shipping from the USA,we offer Free USPS shipping as default. .
Nissan 350Z 2003-2006. Infiniti G35 2003-2006. VQ35DE 3.5L V6 Engine / Motor. Item included: Valve Cover kit (as picture show) x 2. Condition: 100% New. What's the secret to always getting exactly the right part for your vehicle?. Just send us the VIN number before you order. That 17-digit number identifies the year, make, model, engine-and much more. The engine types may include 3.5L 3498CC V6 GAS DOHC Naturally Aspirated. This part fits vehicles made in the following years 2003, 2004, 2005, 2006, 2007, 2008. To confirm that this part fits your vehicle, enter your vehicle's Year, Make, Model, Trim and Engine in theCompatibility Table. DONOR CAR:2008 NISSAN 350Z COUPE RWD ext. code G41 (BLACK PEARL) int. code G (CHARCOAL LEATHER). LEFT SIDE IS THE DRIVERS SIDE AND THE RIGHT SIDE IS THE PASSENGER SIDE . Description A high quality Front Passenger's side Power Window Motor made to fit and function like the original. FEATURES Power with 6 Pin Connector Power Motor ONLY NOT Included: Window Regulator YOUR "RIGHT PART" CHECKLIST Visually compare the part you are replacing with our pictures above. Match a reference number from the E-Z Reference chart below. Fast Free Shipping From California Please check pictures for more details Compatible Fitment: VQ35DE 3.5L V6 Engine / Motor Infiniti G35 2003-2006 Infiniti M35 2006-2008 Infiniti FX35 2003-2008 Nissan 350Z 2003-2006 . INFINITI M35 06-08. INFINITI G35 03-07. INFINITI FX SERIES 03-08; 3.5L. Engine Components. Engine Computers & Modules. 350Z 03-07. CD Changers. Windshield Wipers & Parts. 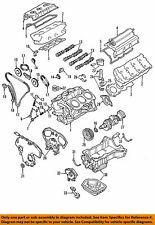 PART No : CNVG-D1402 Application 07 - 09 NISSAN 350Z 3.5L DOHC V6 Component 1 ENGINE VALVE COVER (DRIVER) 1 VALVE COVER GASKET Note Fits Left Side / Driver / LH Comes with Spark Plug Seals. New Left & Right Engine Valve Covers for 2003-06 Nissan 350Z /03-06 G35 V6 3.5L. Nissan 350Z 2003-2006. Infiniti G35 2003-2006. VQ35DE 3.5L V6 Engine / Motor. Item included: Valve Cover kit (as picture show) x 2. Infiniti M35 2006-2008. Infiniti FX35 2003-2008. Infiniti G35 2003-2006. Nissan 350Z 2003-2006. And the compatibility chart is for reference only, NOT 100% accurate. We do our best to resolve any issue.